The end of 2015 brought us many changes in residential mortgage lending. Among them, regulation rule changes to the way in which mortgage business is conducted (TRID) and the notion that the Federal Reserve would be raising key interest rates loomed as we brought 2015 to a close. Many mortgage professionals, REALTORS®, attorneys, and potential home buyers were fearful these changes would negatively impact the residential mortgage lending process. As we begin 2016, many of these concerns have been alleviated. We here at Leader Bank have seamlessly and successfully implemented the regulatory changes brought about by TRID and have continued to enjoy historically low mortgage interest rates despite the Federal Reserve increasing the key interest rate for the first time in nearly a decade. While it remains uncertain as to exactly what the markets will do in 2016 and if mortgage interest rates will stay low, one thing is clear: residential mortgage lending, interest rates, and all aspects of the mortgage process are strong and healthy. This will pave the way for a very robust purchase market in 2016 and continue to allow new home buyers to place a property under agreement with excellent interest rates and enjoy a smooth mortgage process. To learn more about my services as a direct lending Mortgage Banker, or anything else in regards to the mortgage market or process, please feel free to contact me at any time. 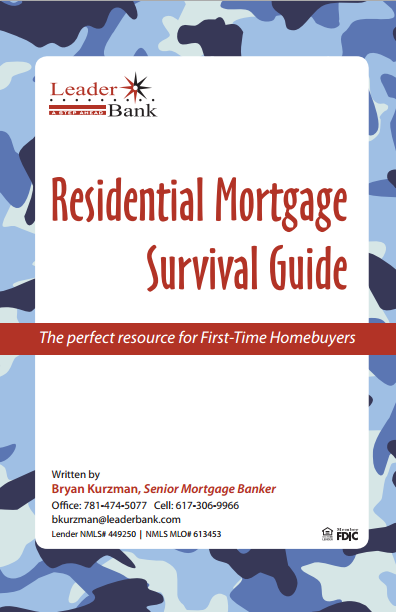 Bryan Kurzman is the Senior Mortgage Banker and Mortgage Strategist for Leader Bank of Needham, Massachusetts. Dwell360 Real Estate is thrilled to have him as a guest blogger, and encourages those looking for a skilled and knowledgable mortgage lender to contact him at 781-474-5077 or by visiting his website.